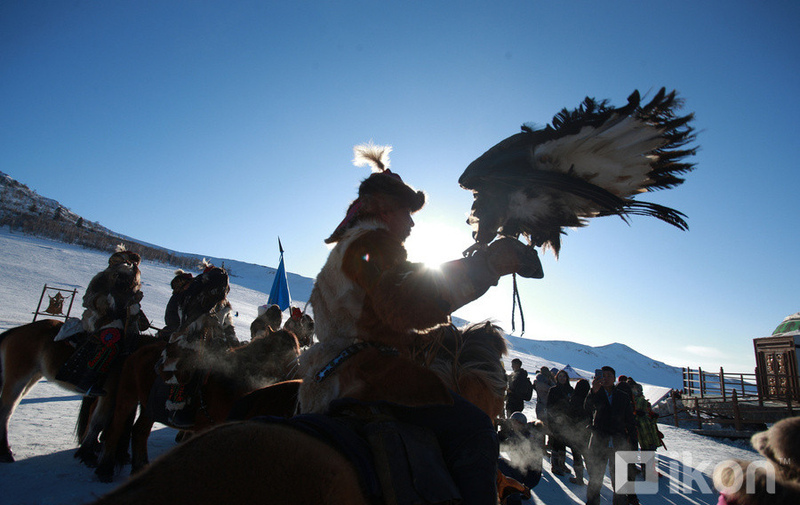 AKIPRESS.COM - Mongolia's annual spring eagle festival kicked off near Ulaanbaatar on Sunday. The festival is part of the country's efforts to attract tourists. The event called "Spring Golden Eagle Festival" was co-organized by the Mongolian Ministry of Environment and Tourism, the Mongolian Eagle Hunter's Association and others with the aim of boosting tourism by promoting the tradition of hunting with eagles, Xinhua reports. "The festival is part of our efforts to attract more domestic and foreign tourists. I am very happy that the number of domestic and foreign tourists visiting the festival has been increasing year after year," Tsegmid Tsengel, state secretary at the Mongolian Ministry of Environment and Tourism, said at the opening ceremony of the festival. A total of 20 eagle hunters aged 18-77 from Bayan-Ulgii Province are competing in the 12th edition of the two-day festival, to catch fake animals, such as foxes and hares, with specially trained golden eagles, showing off the skills of both the birds and their trainers.